Fits 3/69-12/74 2 barrel carb F gas engine - Comes preoiled - Washable, reusable and high flow. 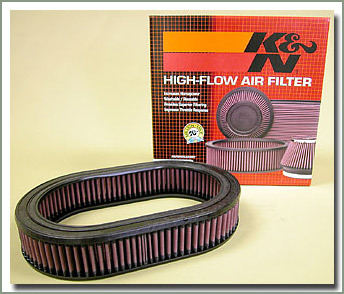 Most K&N OEM replacement air filters will normally require cleaning and re-oiling every 50,000 miles. 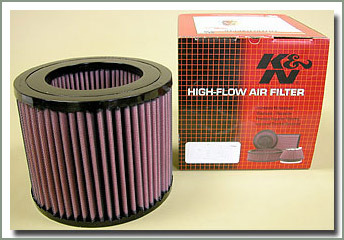 Servicing your K&N Filter is simple. 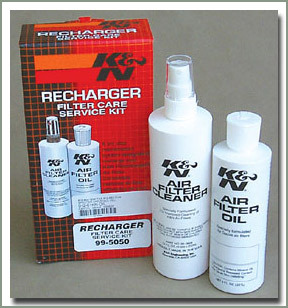 See part number 012-01KN-OIL for the K&N Cleaning Kit. 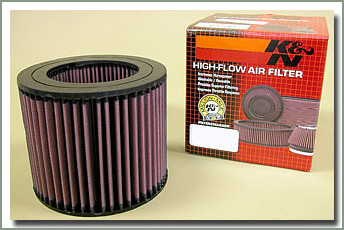 APPLY CLEANER Liberally spray K&N Air Filter Cleaner onto both sides of filter and allow to soak for 10 minutes to loosen the dirt. Do not allow cleaner to dry on air filter. DRY FILTER After rinsing, gently shake off excess water and only allow filter to dry naturally. Do not oil until the filter is completely dry. APPLY OIL TO FILTER A.) 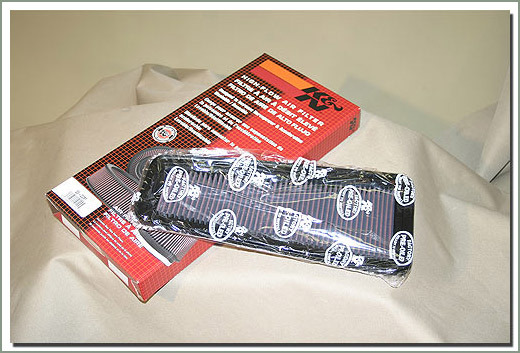 Squeeze Oil (99-5050) Apply K&N Air Filter Oil evenly along the crown of each pleat. Allow oil to wick for approximately 20 minutes. Touch up any light areas on either side of filter until there is a uniform red color at all areas. B.) Aerosol Oil (99-5000) Spray K&N Air Filter Oil evenly along the crown of each pleat holding nozzle about 3" away. Allow oil to wick for approximately 20 minutes. 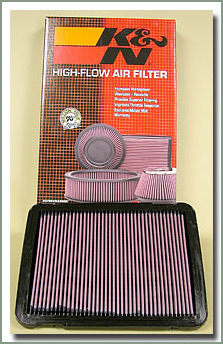 Touch up any light areas on either side of the filter until there is a uniform red color at all areas.